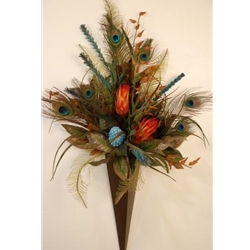 Small Peacock & Rust Triangle Wall Cone. Dimensions will vary depending on materials available. Please call for a more accurate dimensions.